Minato Mirai 21 which means "Port Future 21" is a seaside urban area in Yokohama full of great experiences. It has many attractions including Landmark Tower, hotels, museums, a convention center, a relaxation center with hot spring baths and park space a place to sit and enjoy the seascape. For the shopper, more than 600 stores offer an astonishingly broad selection of goods ranging from top fashion brands to animation character merchandise. Apart from excellent Japanese cuisine, delicious food from around the world is available at more than 200 restaurants. 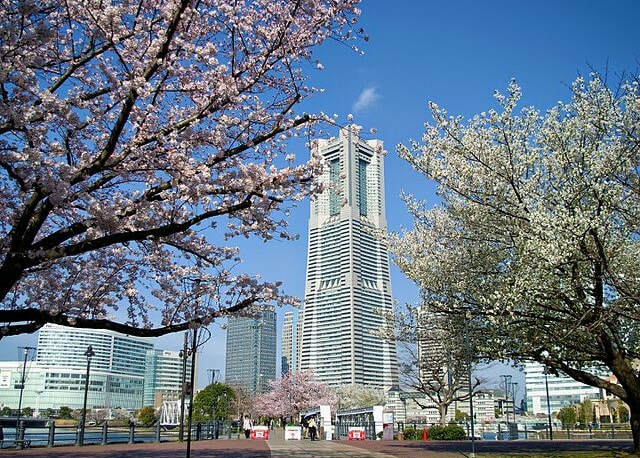 Packed with pleasure, Minato Mirai 21 is a fun place to visit with family and friends at any time of the year, on any occasion, and for so many different reasons. Minato Mirai Station is on the Minato Mirai Line, which is located in the basement of Queen's Square and is two stations from Yokohama Station "3 minutes". 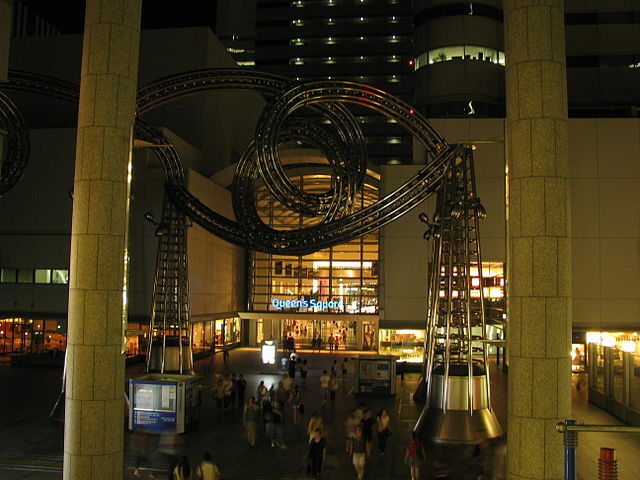 Queen’s Square Yokohama offers fine foods, exciting shops, concert halls, hotels and galleries. 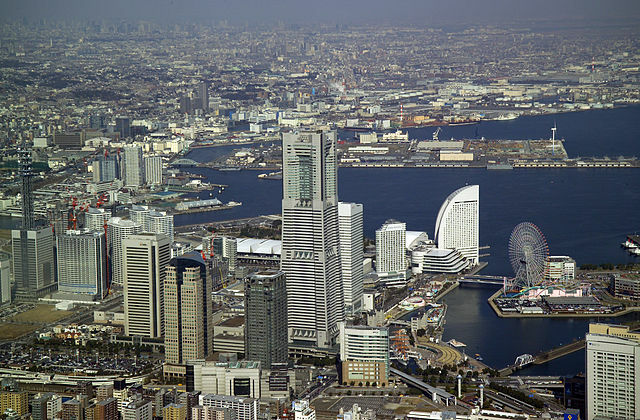 Minato Mirai is also easily accessed from Sakuragicho Station on the JR Negishi Line "Keihin-Tohoku Line", which is just one stop from Yokohama Station "3 minutes". 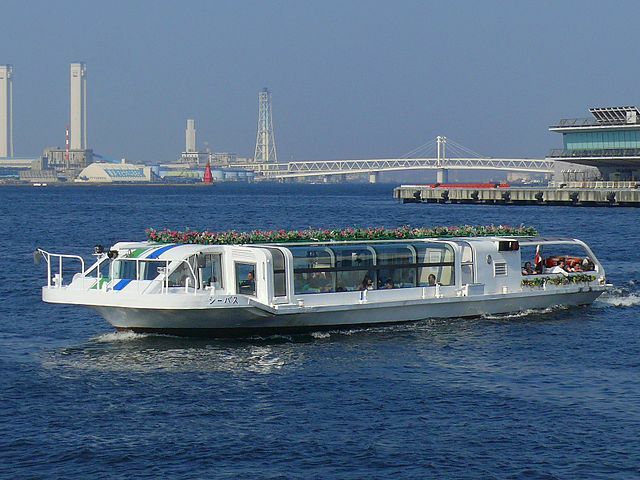 Minato Mirai can also be accessed by Sea Bass Boats. They depart from Yokohama Bay Quarter "about 500 meters from Yokohama Station's East Exit", and stop at the Minato Mirai, the Red Brick Warehouses, before continuing on to Yamashita Park. ​Boats depart about once every 15 minutes, but only half of them stop at Minato Mirai, while the others travel directly to Yamashita Park. Yokohama Landmark Tower is the second tallest building in Japan, standing 296.3 meters high. It is located right next to Yokohama Museum of Art. On the 69th floor there is an observatory Sky Garden, from which you can enjoy a 360-degree panoramic view of the city, Yokohama Bay Bridge, and on clear days Tokyo Tower, Mount Fuji and points up to 80 kilometers away. When built, it was the tallest building in Japan until it was surpassed by Osaka's Abeno Harukas in 2012. The Landmark Tower is a marvelous cityscape featuring, a five star hotel which occupies floors 49-70, with 603 rooms in total, and offices, a shopping mall in the central tower, as well as a variety of facilities, such as a multipurpose hall, and an outside area accentuated by a restored stone dock called the Dockyard Garden. Dockyard Garden is a reconstruction of the "No. 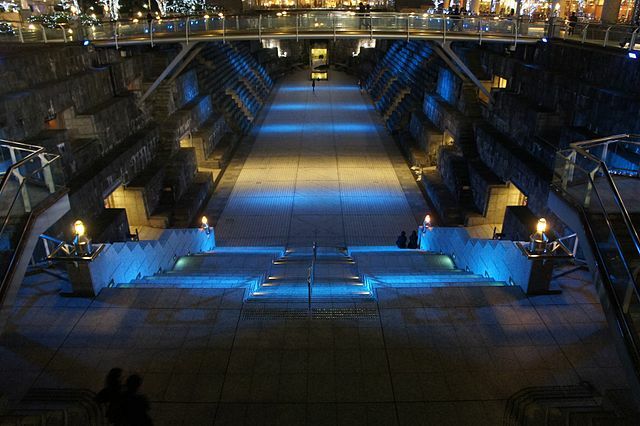 2 Dock of the Former Yokohama Dock Company", the oldest stone-built commercial dock in Japan. It can be visited and also rented for events. 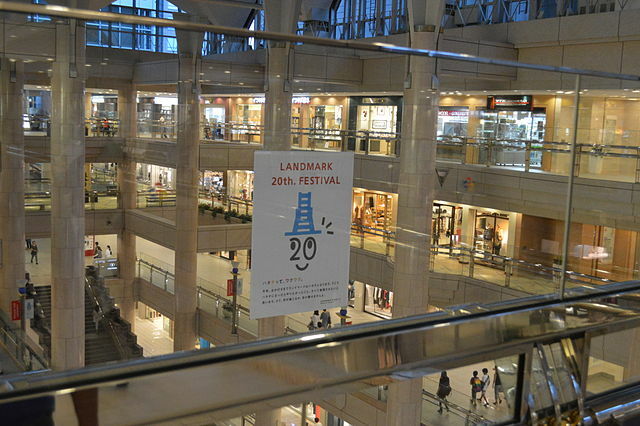 Landmark Plaza is a shopping complex located inside the Landmark Tower. The five floors of the Landmark Plaza feature a similar variety of shops and restaurants to those found in the Queen's Towers. If you like high-end shopping, then this is the place to check out. 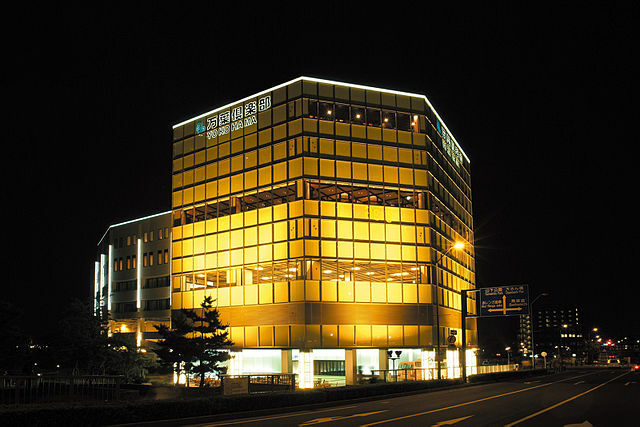 It is also home to one of the five Pokemon Centers in Japan, wildly popular with kids. 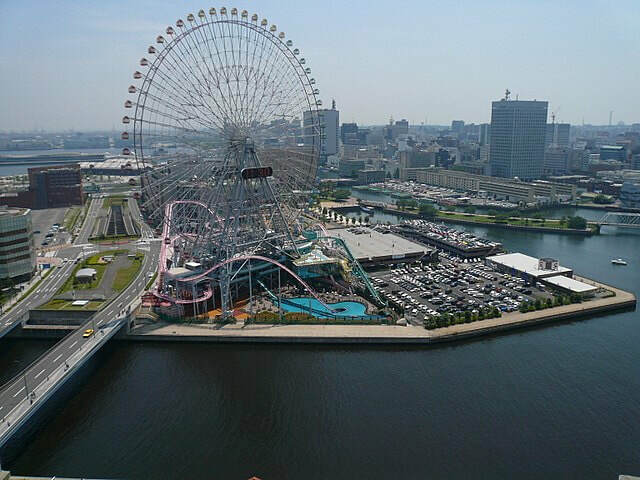 Cosmo World amusement park has one of the biggest Ferris Wheels in the world, 112.5 meters high and capacity of 480 passengers. It has a handful of roller coaster rides, a rapid rafting ride, carnival attractions and a kid’s zone. Yokohama Akarenga "Red Brick Warehouse" is a historic port building dating to 1907, recently restored and now home to many boutiques, stylish restaurants and fun events. 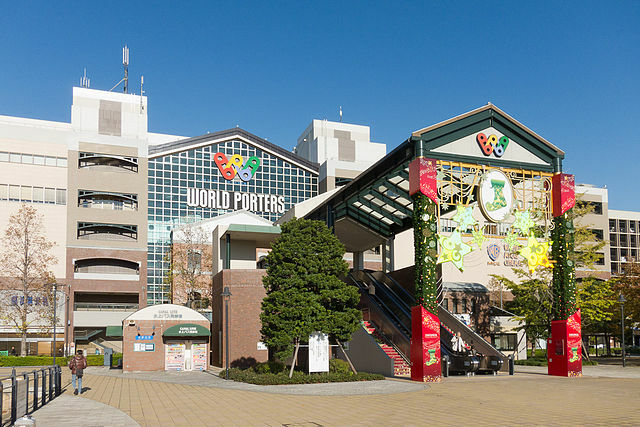 Yokohama World Porters is near Cosmo World and next to Red Brick Warehouse. 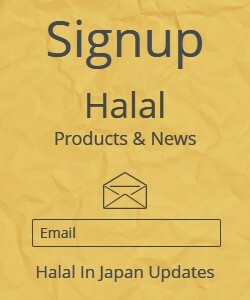 It is a shopping mall blended with the taste of various countries. The mall itself is uniquely divided into six different floors, each containing a variety of goods and services. From first floor up, food, fashion and hobbies, interior design, restaurants, cinema and amusement, relaxation and interior design. Manyo Club is a spa resort, offering hot spring to soak your stress away in, from the usual and very large indoor tubs to various rooftops outdoor pools and overnight accommodations. ​There are even private tubs that are rented by the hour for those who want some private time with family. You can enjoy and relax all day, because there are beauty salons, massages, and restaurants in this urban resort. At night, you can see the lights of Yokohama from a foot bath on the roof. 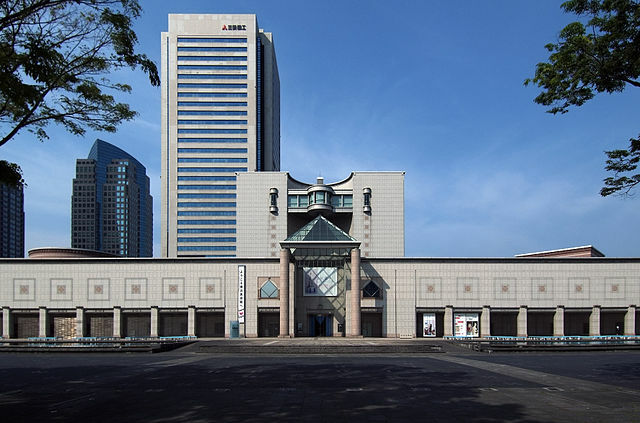 Yokohama Museum of Art opened to the public on November 3, 1989. Yokohama Museum of Art holds a diverse collection of art consisting of seven galleries; three for displaying works from permanent collection, three for special exhibitions "four times a year", and one for photography. The museum focuses on collecting and showing modern and contemporary art created since the late 19th century, when the port of Yokohama opened, alongside many special exhibitions. The Yokohama Port Museum is located in Nippon Maru Memorial Park, in front of Nippon Maru directly below the Landmark Tower. Yokohama Port Museum is themed on the history of the Yokohama port and its entire history. The Nippon Maru was built in 1930 as a sail training ship and retired in 1984. 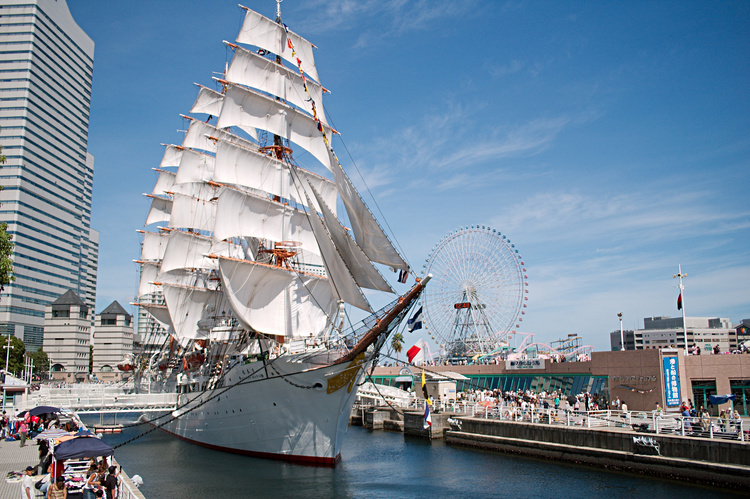 It is now permanently docked at Minato Mirai and is open to the public. 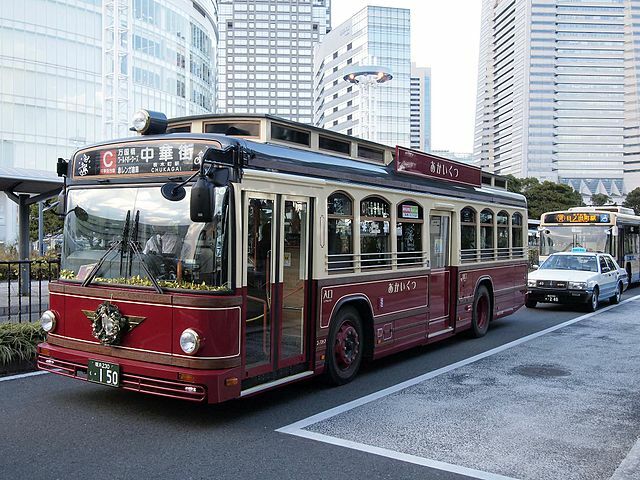 ​Akaikutsu Loop Bus connects Sakuragicho Station with most sights of interest in central Yokohama. Buses run every 30 to 40 minutes in one direction only. The fare for adult is 220 yen per ride or 500 yen for a day pass, which is not only valid on the Akaikutsu buses, but also other selected means of transportation in central Yokohama. The Pasmo and Suica Prepaid Cards, as well as eight IC Cards can be used on virtually all trains, subways and buses in Yokohama, including the Akaikutsu Loop Bus. For a map of attractions in Yokohama city visit one of the Tourist Information Centers and pick up a guidebook.